Magic Lessons #44 – Can I Call You? Magic Lessons #77 – Need a Magic Hand? What is the site for? The aim of Magic Tricks for Kids is to INSPIRE, TEACH and GUIDE children aged 5 – 14 in the art of magic. Our aim is to be a resource and inspiration of actively and creativity that encourages parent and child to spend some quality time together creating and having fun. For us to be successful, we believe parents and guardians should be a valued and integral as part of the Magic Tricks For Kids community and we value your participation, comments and feedback. 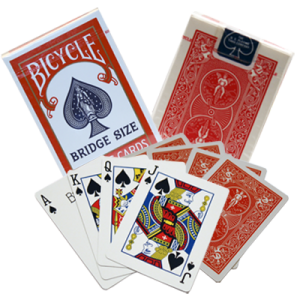 We appreciate that you might have some questions, so this page is just for you as a parent or guardian to give you an overview of what Magic Tricks for Kids is all about and who the people behind the web pages are. Magic Tricks for Kids is a family run website, built and maintained by Colette, Kristen and Kenneth Kelly.Kristen is our daughter and only child and as such we value and understand the importance of online safety for our child and your kids who may interact with this site. We respect your privacy and your details will never be shared. Any messages from us will be about learning and making magic tricks and you are welcome to unsubscribe from our newsletter at anytime by simply clicking the unsubscribe link at the bottom of each mail we send out. Away from Magic Tricks for Kids, both Kenneth and myself enjoy being professional children’s entertainers. We are privileged to have entertained at 1000’s of kids birthday parties over a 25 year period. Have a look at our kids entertainment website to see what else we get up to! It was the children at our shows that asked us where they could learn magic that sparked the idea of creating this site. Kenneth is a qualified psychotherapist in private practice in our hometown of Warrington in England. Kenneth also lectures counselling for Warrington Collegiate in the Higher Education department where he enjoys training others in helping activities. I am Colette and I work as a personal business assistant supporting a young lady with additional needs in the running of her own business. I also volunteer as the technical director for a charitable theatrical group called Ella. Magic is a fantastic and popular hobby. It is great for building confidence and helps with shyness. The making and handling of the equipment and props is great for developing children’s hand-eye coordination. The making process is creative and engaging and gives your child (and you!) a sense of accomplishment. Encourage your child to show and perform the tricks. They will gain a sense of pride and ownership, having made the props and equipment themselves. 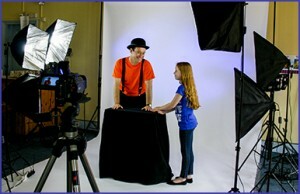 Magic Tricks for Kids are active on Facebook, Twitter and Pintrest. We encourage engagement and sharing tricks and tips from our subscribers as it builds a strong community of young magicians that are able to learn from one another. Facebook policy suggests children under 16 years of age should not have Facebook pages, we ask that you share the information we post with your children. We send out an email update when a new trick goes onto the website. Most children will not have an active email account so again we ask you to share these updates with your children. Your child will need your assistance to interact on the various social media platforms and the Magic Tricks for Kids website. We encourage you to stay involved and engaged with their online activity. Never share your personal information online. Personal information such as real name, address, contact numbers or the school they attend. If anyone requests personal information from them when they are online or make them uncomfortable in any way while on the internet, they need to tell you as parent straight away. © 2019 - The Magic Tricks For Kids.